Anatomical left/right-specific fit for contoured comfort. Meets NOCSAE standard for NFHS/NCAA. 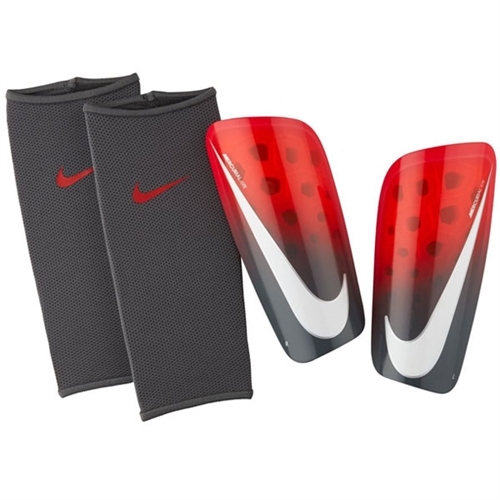 Our Nike Mercurial Lite are durable yet lightweight to help guard against the impacts. A breathable, contoured sleeve offers a comfortable, secure fit during intense action. NOCSAE Approved.